More than just a facelift on the way? Ever since some spy shots and early reports on the upcoming Porsche 911 GTS, slated to fit in between the regular Carreras and higher-performance models like the GT3, we've been looking forward to the model's official debut. We can now confirm it will be officially introduced at this year's Los Angeles Auto Show in November, arriving in both coupe and convertible form. But there is also some more mysterious news from the Porsche frontier. The company is set to unveil a facelift for the 911 model, with the 991 reaching its fourth birthday this year. 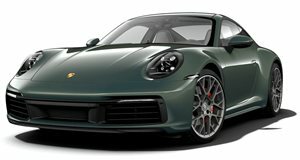 But rather than a 991.2 as expected, Motor Trend's Jonny Lieberman has Tweeted that Porsche will unveil the GTS variant with a 992 chassis code in LA. What this means remains to be seen, but stay tuned for more updates as they come in. Нашел в интернете популярный веб портал со статьями про Гонадотропин.